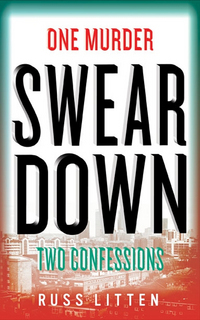 One of our favourite authors, Russ Litten, who does a fantastic author’s event, has a new book out: Swear Down. We loved Scream if you want to go faster, his first book. A young gang leader is found stabbed on a Hackney estate – but two people confess to the murder. Ndekwe, an ambitious, newly promoted Detective Sergeant within a subtly racist police force, believes the more obvious of the two confessions: from McKenzie, a teenager from the estate with a police record of juvenile crime. But why does Jack Shepherdson – an ex-merchant seaman in his sixties – come forward with his own confession? Is he covering for McKenzie, his colleague in the bar they worked at? Or is there more truth in his statement than Ndekwe at first believes?